“All John Reed’s violent tyrannies, all his sisters’ proud indifference, all his mother’s aversion, all the servants’ partiality, turned up in my disturbed mind like a dark deposit in a turbid well. Why was I always suffering, always browbeaten, always accused, for ever condemned? Why could I never please? Why was it useless to try to win any one’s favour? Eliza, who was headstrong and selfish, was respected. Georgiana, who had a spoiled temper, a very acrid spite, a captious and insolent carriage, was universally indulged. Her beauty, her pink cheeks and golden curls, seemed to give delight to all who looked at her, and to purchase indemnity for every fault. John no one thwarted, much less punished; though he twisted the necks of the pigeons, killed the little pea-chicks, set the dogs at the sheep, stripped the hothouse vines of their fruit, and broke the buds off the choicest plants in the conservatory: he called his mother “old girl,” too; sometimes reviled her for her dark skin, similar to his own; bluntly disregarded her wishes; not unfrequently tore and spoiled her silk attire; and he was still “her own darling.” I dared commit no fault: I strove to fulfil every duty; and I was termed naughty and tiresome, sullen and sneaking, from morning to noon, and from noon to night.” “Jane Eyre” by Charlotte Brontë was first published in 1847 under the pen name "Currer Bell". 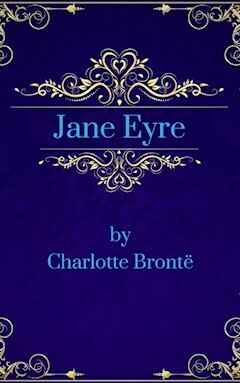 The novel revolutionized prose fiction in that Jane Eyre's moral and spiritual development is told through an intimate, first-person narrative.